“Streets ahead” debate continues. Help safeguard your local trees. Thanks to everyone who came to the meeting at St Mary’s about trees and related matters on October 9th – we hope it was useful and informative. The period since has seen a lot of articles and correspondence in the local press – an example follows as the Star became aware this was a big issue. A lot of situations have been highlighted in areas across the city while Jack Scott (the relevant Council Cabinet member) has been offering information to justify the work done and the basis for it. Ian Rotherham has continued to comment in his Saturday column in the Star. The issue is high profile and campaigners have put the spotlight on the ongoing work and that can only be a good thing. 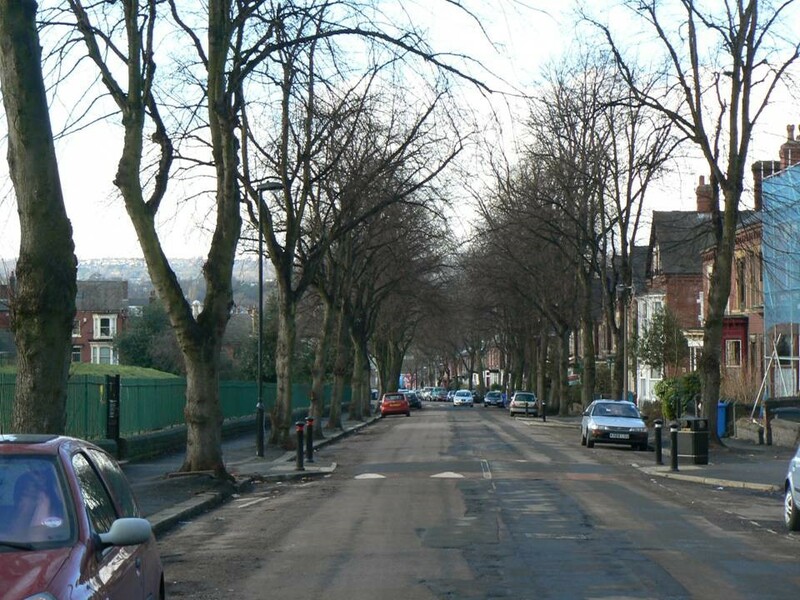 Following the meeting, Sheffield Green Party have continued to press the City Council and Amey to consult residents about the Streets Ahead work, which aims to resurface roads and pavements and replace street lights over a five year period and then maintain them for a further 20 years. We are concerned that residents should have a say about this work including improvements such as dropped kerbs, cycle routes, signage, yellow lining as well as tree removal/replacement. The Council’s stance is that the work is “like for like” work so that “consultation” is not required, only “information” in weeks leading up to starting work in a zone. Any additional work has to be funded on top of the £2bn contract with Amey and there is precious little money available. We think that is all the more reason why local people should have a say in how it is prioritised. Cllr Jillian Creasy succeeded in getting officers and local residents around the table in preparation for work in Broomhall (in her Central ward) next summer. Negotiations are ongoing ! We would urge people to look at the Streets Ahead website https://www.sheffield.gov.uk/roads/works/schemes/streetsaheadproject.html and to contact your local councillors https://www.sheffield.gov.uk/your-city-council/roles-who/councillors.html in order to find out when your area will be “treated” and to feed in ideas at an early stage. We would also welcome any feedback about what is happening in your area. Along with its seven hills, five rivers and unique industrial heritage, our estimated two million trees are part of what makes Sheffield special. But, as high winds take down dozens of trees across the city, one of the world’s leading environmental experts based in the city reckons Sheffield is in danger of destroying swathes of its natural beauty. In fact, he says we’re already doing it. The city council says it is removing 250 trees through necessity and planting 750. They say they are re-planting and undertaking essential maintenance to ensure the future of the city’s greenery as part of an agreed 25-year conservation programme. But when The Star’s letters page is bombarded with tree-related issues and people like Professor Ian Rotherham accuse the council of ‘speaking Eco-twaddle’, ‘absolutely outrageous behaviour’ and ‘ignoring people’s views’ in an ‘officious and bullying style’, it’s probably time to ask what’s going on. Jack Scott, Sheffield City council member for the environment, sees things differently. “We are doing more work on conserving and looking after street trees than we have ever done,” he said. “In regard to the older trees, they are the ones that by definition become diseased or start to die. We can’t afford to have unstable or dead and dying trees alongside the highway. “We have to manage trees with safety as our primary concern, especially with older trees, and unfortunately the conservation pledge that Ian Rotherham refers to is not close to what authorities do across the country now. Our first duty is to keep the roads and pavements safe for people. “We do consult with people but if trees need attention quickly we have to take action. We get more people complaining because we don’t cut trees down than those who complain that we do. None of which impresses Professor Rotherham who was City Ecologist for Sheffield Council from 1984 to 1994 and helped write the Sheffield Nature Conservation Strategy in 1991. “I have never had so many people coming to me with complaints who feel like they are being ignored,” he said. “Sheffield is famous for its green suburbs and trees but the council don’t seem to understand the difference between consultation with people and simply telling them what they are about to do. That’s not consultation. They come out with their ‘eco-twaddle’ that sounds all right and that they know what they are talking about but it’s just ‘greenwash’. They are not conserving things, they are destroying them. “I think the problem is that they just don’t have the expertise any more to know the value of the resource we have. “Years of cutbacks have taken out the people who do know and who remember the agreements the council made in the past through people like David Blunkett, Peter Price and Clive Betts, who knew and cared about these issues. “I think those agreements are being overlooked when it comes to practical decision- making. A 250-year-old tree cannot be replaced by a new one. It is an irreplaceable part of the city’s archaeology. “I don’t think they see the difference between a tree planted by the Victorians in 1870 and a tree that is a 300-year-old marker of the city’s history and is irreplaceable. It seems to me the council has lost track of the promises it made 20 to 30 years ago. “Trees can cause nuisance with their roots and leaf fall but that’s what happens with trees. “People will make individual complaints and of course they have to be looked at but decisions were made as part of a democratic process and they should not be overturned because people have forgotten about them. Bowden Housteads Wood – alongside the Parkway near the Handsworth turn-off – is an ancient wood listed as a conservation site. It is thought that an application is being prepared to site a new fire station there. Smithy Wood, just off junction 35 of the M1, is recognised as an ancient wood by the Woodlands Trust but is the proposed site for a motorway service station. There are 2 Responses to “Streets ahead” debate continues. Help safeguard your local trees.